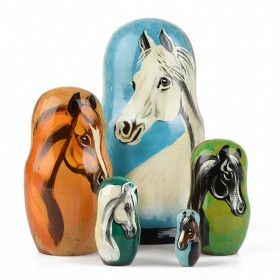 Our large inventory of animal nesting dolls includes horses and ponies! 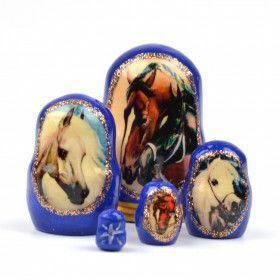 From stacking dolls with beautiful paintings of majestic Arabian horses, to nested dolls with the famous Russian three-horse troika painted on them. Check them out!